It’s a hassle to keep you’re gardening equipment & tools in good condition when settling in Australia and living under its extreme climate. So for the safe keeping of these tools and other stuff in your garden it is quite a necessity to have a shed in the backyard. This is exactly what the Gardenshed.com is bringing to its customer. 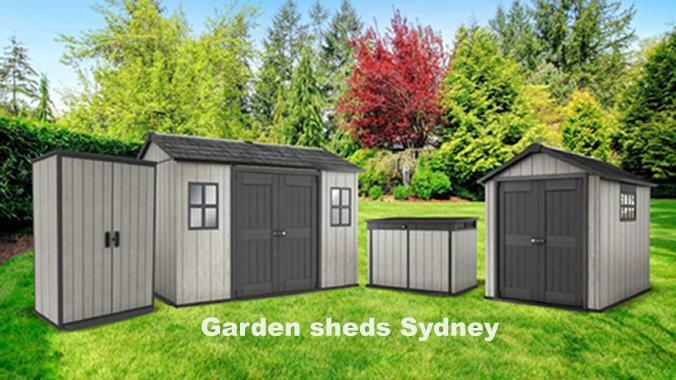 The Gardenshed.com is an online store that is essentially based in Australia and operates in the cities of Sydney, Perth and Brisbane for supply and installation of different kinds of garden sheds for various purposes. Garden sheds Australia is one of the forerunners in the business and it is the parasol for all its franchises in Australia like Garden sheds Sydney, Garden sheds Perth and Garden sheds Brisbane. The store is a one-stop shop for all garden shed aspects. Be it the types of shed, its material, its purpose, its design, its price, its durability and any other feature all is available for the customer in just a click away. The online portal is subcategorized in different tabs for facilitating different stages of shopping. The website puts on different advertisements and banners for customer inflow. The Gardenshed.com has a well stacked inventory for free browsing and good preview of the products. The portal also provides comparing features between different carted products for best selection. The payment gateway and process is also very smooth. The main USP of Garden sheds is the good delivery and customer help services. Now to set the talks in a different direction, let us get a view of the products of the Gardensheds.com. The main product of the firm is plain and simple garden sheds. The garden sheds are built with sturdy material and on well engineered structure for withstanding extreme weather conditions and to be stable in various terrains. The materials used for building these sheds range from zincalume to fibre and from wood to asbestos. The timber sheds are made with woods and are mainly used nowadays for decorative purpose and themed settings. The timber sheds are now outsmarted by the latest absco sheds in the Australian market. The absco sheds are made with materials sturdier than steel yet lighter than it with properties of fibre incorporated in it. These sheds are very well structured and are very easy to assemble from the delivery box. These are also very stylish and come in various designs to suit the customers’ likings and purpose with a garnish of cost-effectiveness. The gardens sheds from the Gardenshed.com are in reality an asset to your house and has the potential to perform many facilities apart from the general gardening utility. The sheds could be used for gardening, for storing of stuff, as animal husbandry, as bird house, as green house, for recreational activities, as study room, as club house, as an office or even for setting a garden party on the rocks. Well to sum it up in short Gardenshed.com is your destination for multipurpose sheds and their know-how. This entry was posted by Manish in blog and tagged Absco Sheds, easy sheds, Garden sheds, garden sheds adelaide, Garden sheds Australia, garden sheds brisbane, garden sheds melbourne, Garden Sheds Sydney, Timber Sheds.